Journaling is an important part of my daily spiritual practice. I’ve been writing in my journal every day for many years. 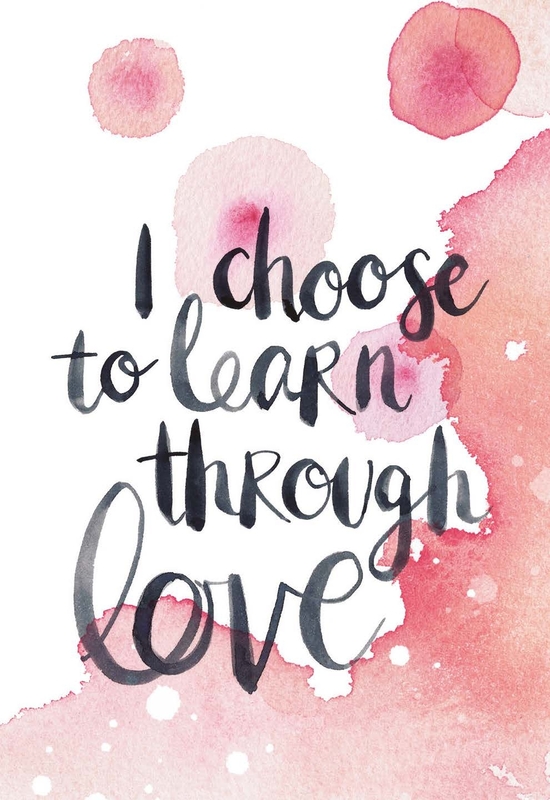 But even if you don’t yet have a journaling practice, or if you struggle to keep a journal, I have some tools that will make you love journaling! Putting pen to paper is a very powerful act. Journaling is a beautiful way to tap into your intuition, let inspired ideas come forth and get into a daily habit of appreciation. Your journaling practice will enhance your personal growth, deepen your gratitude and strengthen your spiritual connection. There are lots of journaling tips out there, but I want to help you take your practice to the next level and really love it! These four fun and easy tips will help you attract your greatest desires and amp up your gratitude with your journal. I wanted to make it really easy for you to meditate before journaling, so I created a free guided journaling meditation! 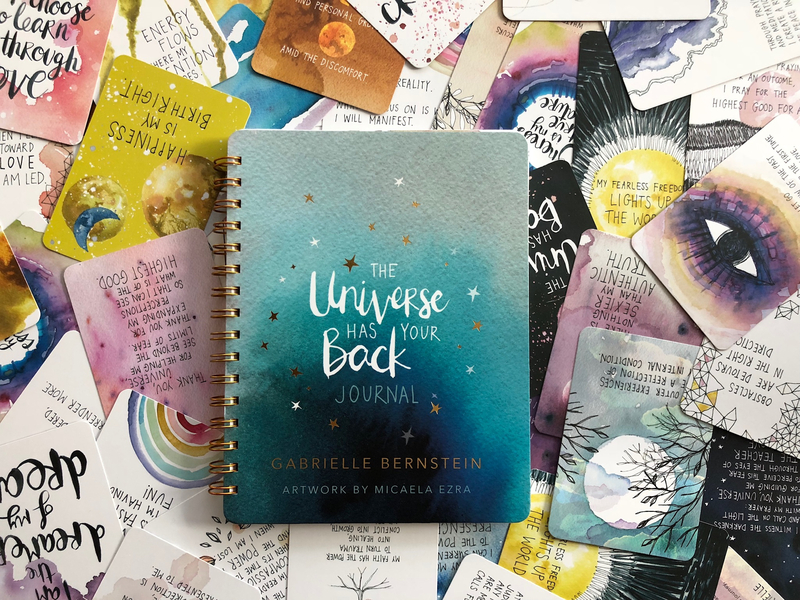 Get it instantly when you order The Universe Has Your Back Journal. This meditation will help guide you into alignment with the Universe before you begin your journaling process. You’ll call on divine guidance with a powerful energetic request and calm your mind so you can receive inspiration. Get your free journaling meditation here and listen to it with your journal by your side. 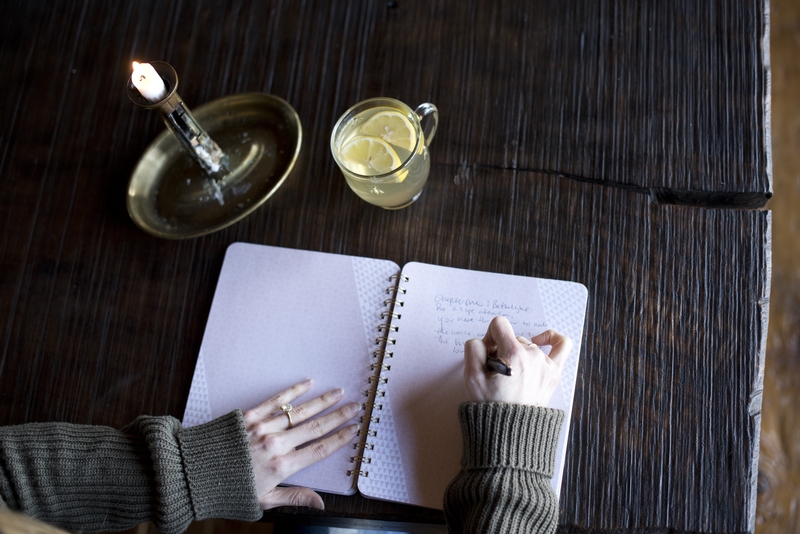 Following the meditation, pick up your journal and free-write for 10 minutes or more. Let your pen flow on the page, allowing whatever needs to come out to come out! Each morning practice this awesome tool from Abraham-Hicks — it’s called a Rampage of Appreciation. Early in the morning (before you check email, turn on the TV, open Instagram, etc. ), open your journal. Write three to five pages about what you appreciate most. This Rampage of Appreciation can include people, things, situations, encounters and so on, on any topic. They can be subtle, major, serious or fun! If you can’t fill three to five pages at first, aim to fill one page. Really feel the appreciation flow through you and notice as your energetic vibration is raised. Every time you appreciate something, every time you praise something, every time you feel good about something, you are telling the Universe: “More of this, please.” You need never make another verbal statement of this intent, and if you are mostly in a state of appreciation, all good things will flow to you. Your Rampage of Appreciation journaling practice will set you up to feel great all day long and attract more and more things to appreciate! You may find that it’s helpful to do a short meditation before writing with your spirit guides. Then listen to your Journaling Meditation, or simply sit quietly for 10 minutes, paying attention to your breath and the sensations you experience. In some cases, your handwriting might even change. You might feel a presence of energy moving through you. You might feel a heat in your body. And that means that there’s a presence that’s working through you to give you some kind of direction. If you don’t want your guides to write through you, you can be very clear in your request that you want to write in your own voice. Before going to bed, open your journal and take an inventory of your day so you can celebrate your miracles. Write down all the wins you had that day — even if they seem minor, like being first in line at the bank. Celebrate your wins before you fall asleep! This is an especially awesome practice if you tend to lie in bed at night and worry. Journaling about your miracle moments will help you break free of that negative pattern and shift your focus onto all that is going well! Commit to any or all of these tips and expect miracles! Journaling is a spiritual and creative practice that will serve you greatly. Release perfection and focus on consistency. The more you journal, the more easily you’ll be able to connect to Universal guidance through journaling. Follow these tips and expect miracles! Let journaling be an inspiring and moving part of your spiritual practice. When you make the commitment to journal regularly, you can trust that it will enhance your spiritual growth, deepen your appreciation and help you attract your greatest desires! 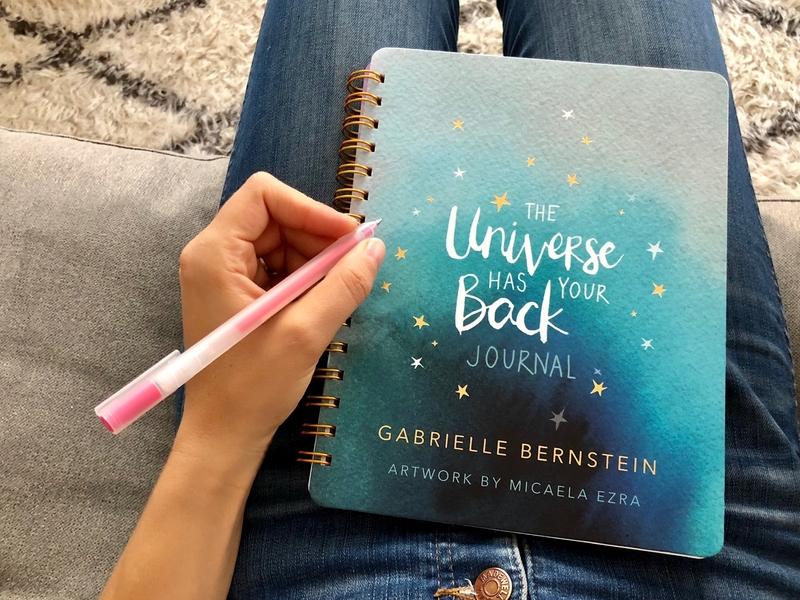 It will hold space for your dreams and help you manifest your greatest desires, inspiring you with watercolor designs and mantras from the book. Order the journal and get your free guided Journaling Meditation instantly! Gabby, Thank you for this! YES Tonya! Such a beautiful blessing! Gabby-I so admire you. I have set up a purposeful, mindful life for me that involves doing something physical (health), spiritual and helpful to others every day…or so.Its no perfect. I wonder what is your daily routine? From when you wake up…do you journal, yoga, meditate….Not specifically but intentionally, what is your daily deal? Thanks Gabby-you are one awesome, gorgeous inspiration! Awesome Christine! My days always include meditation, writing, some form of movement, and getting creative in the kitchen. Before I was pregnant, I loved jumping on my rebounder! I would like to order some journals as Xmas presents for my friends. I can hand over the books to them. But how can they get access to the free meditation guide? If I send them the order number from amazon.co.uk , can they write the # number and get access? What a lovely gift Padma <3 Yes absolutely! You can give them the Amazon order # so they can sign up for the meditation gift. Big hugs to you! Ing-writing is one of the practices from Spirit Junkie that opened me up to a connection with the divine that I still foster to this day. Thank-you for being a light for all of us and for being a spiritual teacher. Hi Gabby! I’m really struggling with belief in myself and consistency when it comes to growing my business. Last year I purchased a planner that focused on goals and practice mindfulness. Is this book more for journaling than planning? I’ve tried looking up images of the inside pages but haven’t had much luck. I bought the book and then my partner bought me the journal, but I think that the receipt was thrown away. We bought them here in Anchorage at Barns and Nobel. Will you please still send me the meditation? Wow! Fantastic blog for the journal! I love the way you do journalling and I found it helpful. So far I have received guidance from the universe and became a lot happier person even though I have Christian faith but it has released me from my past trauma I went through in my life. Your journal has changed my life Gabrielle.